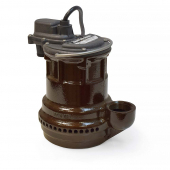 Liberty Pump 240 is 1/4HP Manual Submersible Sump Pump with 10ft quick-disconnect power cord. 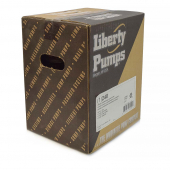 This Liberty Pump features a unique one-piece cast iron housing with peripheral port suction and thermally protected & permanently lubricated motor. 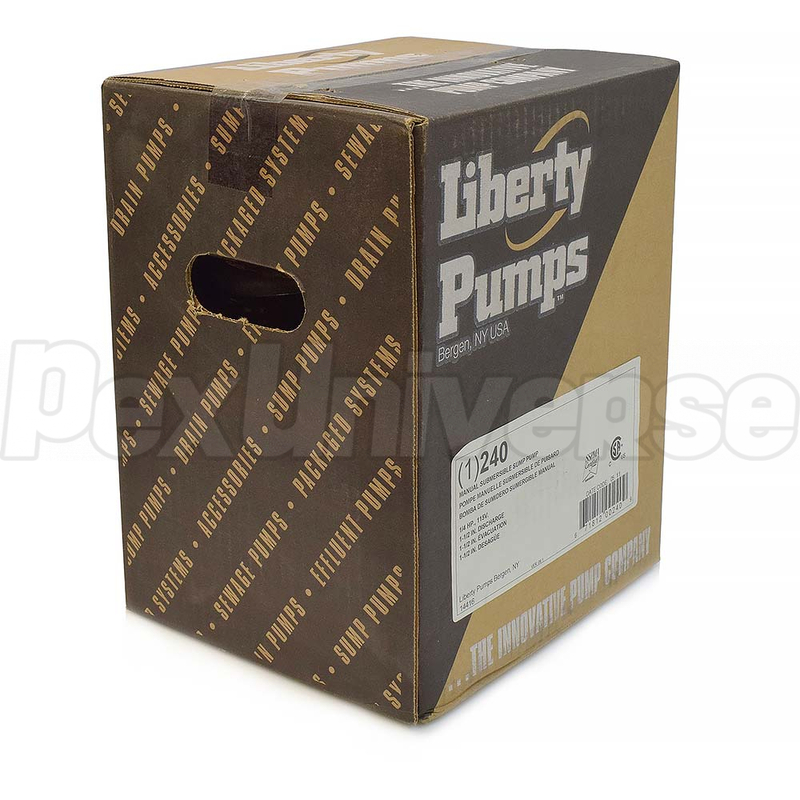 Liberty Pump 240 has 1-1/2" NPT discharge, 1/4" solids-handling and 20' max. lift. 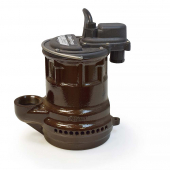 This manual (switchless) pump may be operated by directly plugging into an approved electrical outlet. To prevent excessive seal wear and overheating, pumps should not be run dry for extended periods of time. 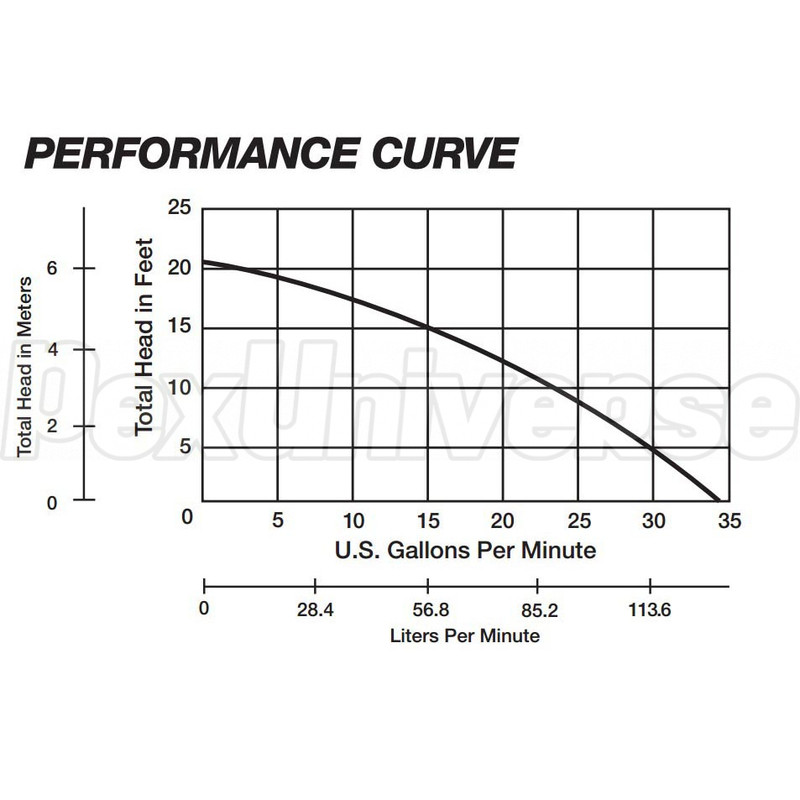 A minimum 4-1/2" water level is recommended. 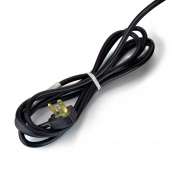 If manual models are to be used with an optional control device, follow the instructions provided with that control and make power connections per those instructions. 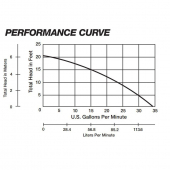 Set the turn-off level at 4-1/2" or greater.